Top 10 Best Bamboo Flutes in India 2019 - Top 10 In India - Only The Best of everything! LATEST product list, updates regularly! "Get your soul in tune with the music"
A bamboo flute or bansuri is a great musical instrument that brings out one of the most soothing and melodious sounds. If you are looking to buy a bamboo flute online then your best bet is to choose from the list of the top 10 best bansuri flutes in India as per their bestselling ranks, that are given below. A well known brand that features in the top bestsellers list Punam flutes by Subhash Thakur. It is good to have a flute that is tuned, and for that you should try and go for a brand that is known for the quality of workmanship in their flutes. Here are a few pointers on how to chosoe the bansuri flute that you want to buy. First, if you are beginner, you will do well to choose a G medium bamboo flute. The G scale flutes have a pleasant and melodious sound and are great for beginners. However if you are an advanced flautist, then you will have your own choice of what kind of flute to buy. Here are three factors to look into while buying a bamboo flute online. The bamboo flute's pitch and length - Very simply put the longer the length of the bansuri the lower the pitch. One should go in for a flute which allows you to play by stretching your fingers slightly more than comfortable, but not too much. Thus we need to look at the length of the flute and the pitch to ensure that you are able to play it fast and effectively. The quality of the bamboo and its source - Generally a straight bamboo without nodes is best for a bansuri. Also the region from where the bamboo is sourced matters. Flutes made with bamboo from Assam, Uttar Pradesh and Kerala are slightly superior. How well the bansuri is tuned - The bansuri or flute comes tuned from the moment it is made. There is very little scope of further fine tuning it after it is made. That makes i very important o buy your bamboo from a goof maker who has tuned the bansuri perfectly. Keeping to the well known brands and names in flute making in India is a good idea. Now that you know a little bit about choosing a good bansuri or bamboo flute, have a look at the Top 10 Best Bansuri Flutes in India, a list that is updated every day and features the best selling flutes in India. These bansuri flutes have been bought the most by Indian musicians, and are the tried and tested options. You can be sure of getting a good quality bansuri at a reasonable price if you choose from these bamboo flutes. Suitable For Beginners As Well As Professionals ,Made From High Quality Material,Designed For High Level Performance ,Hard Case Included. 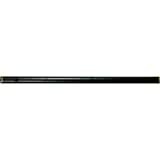 D sharp medium bamboo bansuri/flute. The Indian D sharp scale. The upper three holes are coverd by finger. 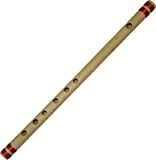 This bansuri has a intermediate frequency and rich mellow tone. This flute is suitable for beginners, also appropriate for light classical and folk music, accompaniment and studio recording. ISC Indian Large Bamboo Flute Bansuri(TYPE-GG) Transverse Style for Deep Low Frequency Sonorous Notes 18 Inches IMPRESSION ?